Keeping our synchronization with the development taking place in this industry, we are engrossed in delivering a broad range of Copper Alloy Sheets. Manufactured with precision, these products are highly recommended among our customers for its wonderful finish. 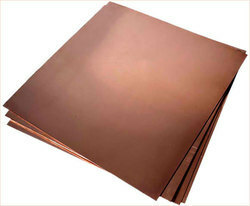 Owing to dedicated experts, we have been accomplished to present a wide range of Copper Alloy Sheet. Copper Shets Are Manufactured As Per Various Gauges, Width & Lengths For Various Electrical Applications. They Maintain the Conductivity Of Current For Better Uses. Sheet And Plate Range: 5 mm To 100 mm Thick In Upto 2500 mm Width & Upto 6000 Length Available With NACE MR 01-75s. We are counted amongst renowned & trusted names in offering an exclusive range of Nickel & Copper Alloy Sheets. These are fabricated by our team of experts using high grade material. 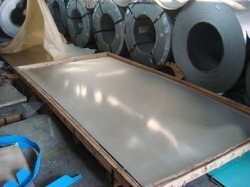 Our offered range of Nickel & Copper Alloy Sheets can be availed at very economical prices. Popular Steel & Engineering Co.